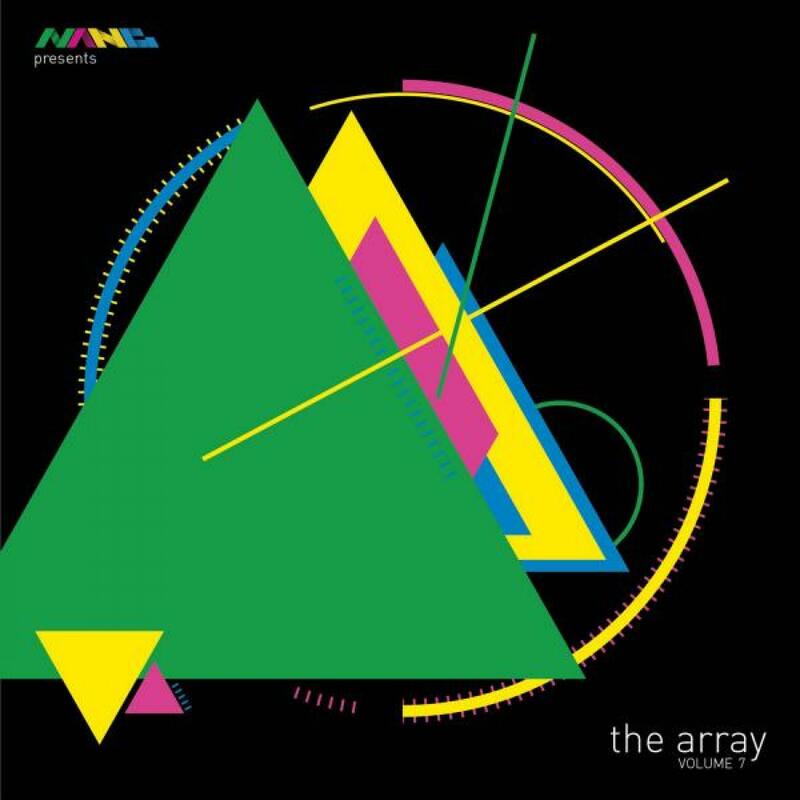 "Nang Presents The Array Vol 7"
The Nang crew are back with their yearly round up of all that is spiffing here at Nang towers... Volume 7 of the Array is here. 7 years... wow we are getting old. Anyhow onto the tunes and a step back to the 80s with (the amazingly named) Hot Hot Hawk and their 80s synth and guitar micro-epic "Atlanta Skyline". Next we head straight for a slice of catchy-vocal disco house from those talented Italians Irregular Disco Workers with "Yesterday". Itâ€™s a stomper. Talking of vocal house stompers, next up is an exclusive (to this comp) mix from Russian remixer wonder-crew Kim and Buran. They take "Downtown Girl" from the Mexican based Future Feelings to a whole heap of new and interestingly funky places. Nang head honcho is up next with one of his rare (and over the top) musical excursions "Ponies Itâ€™s the Flowertruck". Donâ€™t ask about the title, but groove wise we angling toward the 80s with "lexicon of love" type orchestra arrangement and slidey-moog-bass overtures. Karaman gets disco-house funky next with "My Touch" before West Coast based Aimes takes things up a dancefloor notch or two with his wonky-funk groover "Trepadado". No Nang compilation is complete without some space or sci-fi references in the mix somewhereâ€¦ and â€œTaking Controlâ€ from Moskva Kassiopeya does just that. Space â€“Disco â€“ Rockâ€¦ we have lift off. Nanka then slows the pace down a tad with Blue Azure on their foreboding and melodic song. Bestinspace keep the space theme flowing with their bleepy-sci-fi Nu Disco. Just a touch of 80s power vocal in there tooâ€¦. UK based Martin Davis keeps the big room disco house fires burning next with "Inflation" as does Italian Nang newcomer Romain Bezzina with his big-time swinging disco epic "Late Night Dance". Russian producer Hemul teams up with Sportloto on the remix for the electronic funk workout "Supernova" just before handing over to Nang long-time collaborator and all-round DJ whirlwind, Rayko. His stabby synth and catchy guitar from brand new track "Crazy" being a great starting point for future Nang material. We round things off with the Stone Funk collective take on the summer sound scape "Beach Coma" from the Korvids (another exclusive to this comp) and Kazakhstan newcomers Wawawiwas with their thoughtful, melancholic synthfest "Sea Of Dispair". Sportloto makes another appearance with his slightly jazzy, delightfully quirky vibraphone & flute fest "Ruines". We leave things big, dancefloor and chunky with "Begin" from Russian producer Folano. Thatâ€™s it, another year in the life of your favourite London based disco-80s-synth-funk-sci-fi-space-italo record label. Written & Produced by Potapov Llya Igorevich. Produced by Loudery. Additional programming and keyboards by Sare Havlicek. Strings by John Bryan and Pete Whitfield performed by Prague Philharmonic Orchestra. Written by DJ Drumsitx. Published by Dharma Songs. Composed and recorded by Fernando Dimare. Bass and Guitars by Thomass Jackson. Keyboards, Additional Production and mix by Fernando Dimare. Written & Produced by Andrey Karaman. Remix & Additional Production by Jamie Bridle. 09) Bestinspace - Freedom Ltd. Written & Produced by Martin Davies. Written & Produced by Hemul. Remix & Additional Production by Sportloto. Written & Produced by Aidar Naizagarin & Oleg Akhmetov. Written & Produced by Andrey Korepanov (Sportloto) and Grigoriy Babak (Babak).